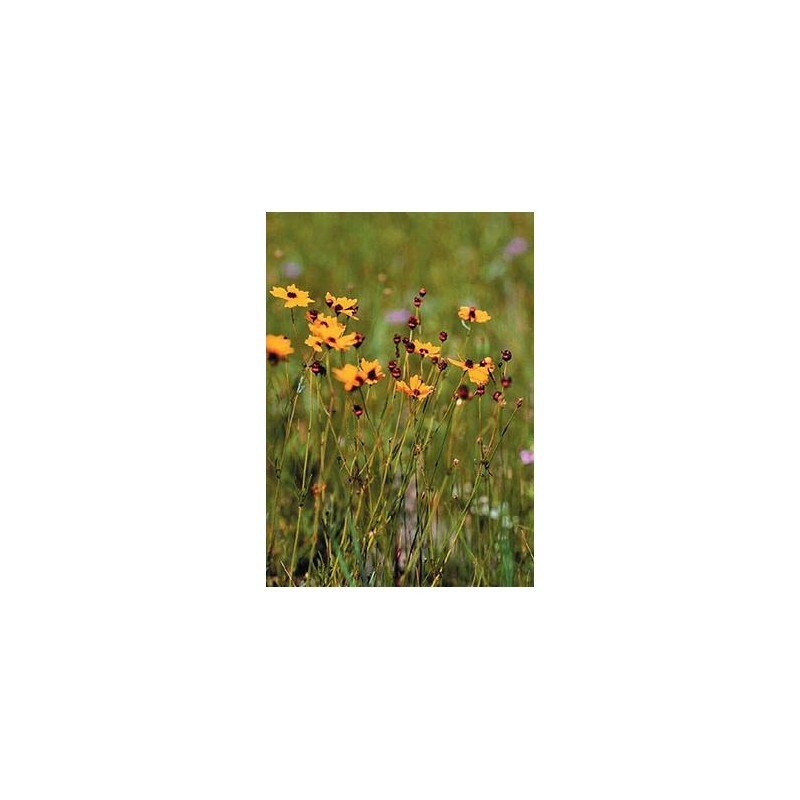 Plains Coreopsis is a 1' to 3' tall native annual, but is sometimes a long lived biennial. 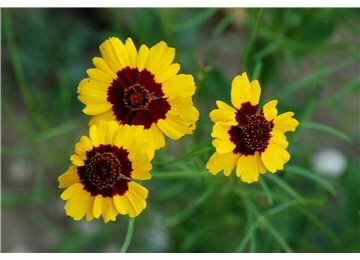 It has large numbers of 1" yellow flowers with bright red centers. 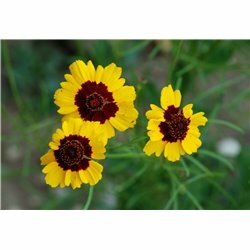 Plains Coreopsis starts flowering in the spring and grows best in medium to wet soils in full sun. 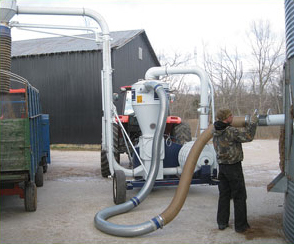 It does not tolerate dry droughty sites or heavy shade very well. Native stands are most often found in moist prairies, pastures, old fields, woodland edges and roadsides. 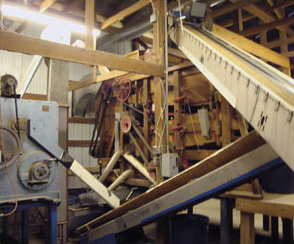 It produces prolific amounts of seed and easily self-seeds. 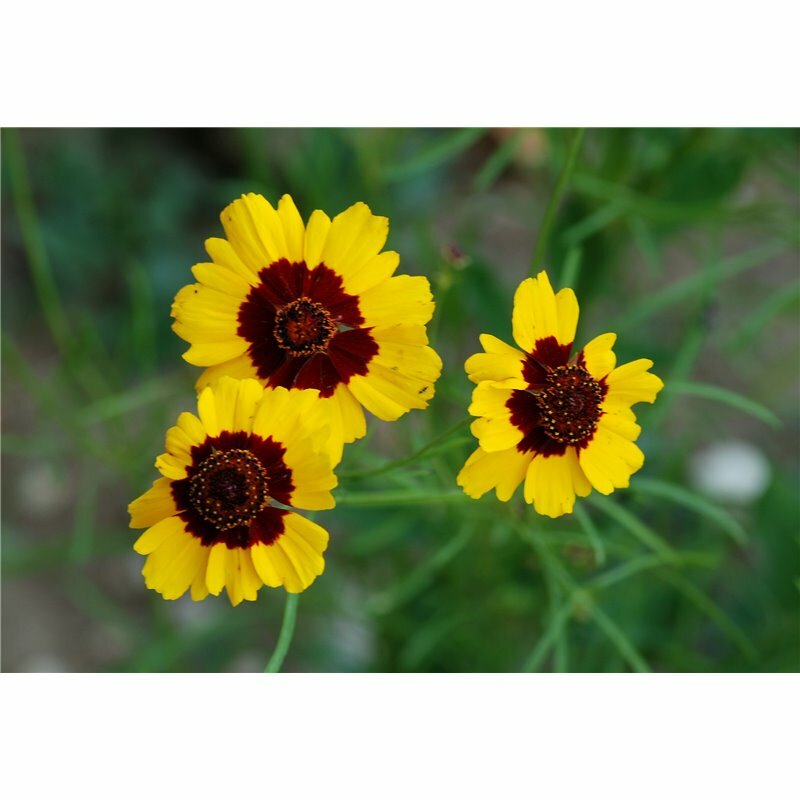 Plains Coreopsis is a popular garden plant due to its colorful flowers and ease of establishment. Birds love the volumes of seed and it is a great butterfly plant.